Those who have contact with food need to complete adequate food safety training. Food safety training courses aim to ensure that staff are working hygienically around food to prevent foodborne illnesses. Choose from all our Food Safety training courses below. We run our open food safety courses from our training centre near Boroughbridge, North Yorkshire. In addition, you can book an onsite food safety course throughout Yorkshire and North East. 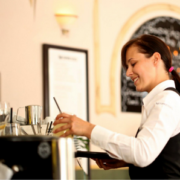 Which courses suit the catering industry? Front of House Food Safety, Levels 2 +3 Food safety and Level 2 + 3 HACCP courses are best suited to customer facing food businesses. 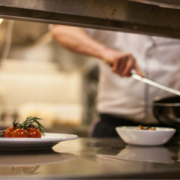 How to improve your food hygiene rating? 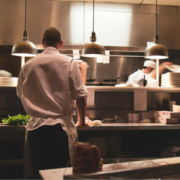 Does food safety training improve my food hygiene rating? 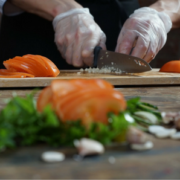 Food safety training will improve your hygiene rating. Health inspectors take into consideration the training provided to employees as well as the systems put in place. In addition, higher levels of training results in greater awareness of correct food safety practices. This is therefore likely to further improve a business’s food hygiene rating. Which courses suit the food manufacturing industry? Level 2 Food Safety + above and every HACCP course suit the manufacturing industry. The level you need to reach is dependant of the size of your operations and the risk involved. What does the SALSA accreditation require? The SALSA accreditation deems Level 2 HACCP as crucial for gaining certification. It is specified that anyone who is planning on attending their Level 2 HACCP course must have a Level 2 Food Safety qualification. How do the qualifications help? Food safety training can help in reaching larger outlets for your products. For example, large supermarkets require food safety systems and training to be complete before purchasing your products. Hazard Analysis and Critical Control Point (HACCP) is an effective way to manage food safety hazards in the workplace. The principles taught within HACCP training courses help you to construct systems of managing the risks of each hazard. Who needs a food safety certificate? The law states that anyone who handles food requires supervision and some form of food safety training. Whilst a certificate is not essential, we advise anyone who handles food on the way to the customer should receive formal training. 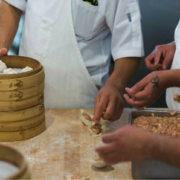 What can poor food hygiene cause? Poor food hygiene can result in harmful bacteria being spread through food. Therefore, customers and potentially staff can become severely ill.
Consequently, this can lead to legal action being taken against your business.